April Kragt is a staff writer for the ad-visor&chronicle, a local weekly newspaper in Marshall, Michigan—only a 20-minute drive from her cereal-scented hometown, Battle Creek. 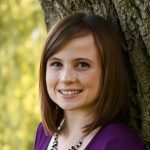 She graduated from Spring Arbor University, where she studied English and was introduced to localism through her professors and the writing of Wendell Berry. She now enjoys figuring out how to put what she’s learned into practice.